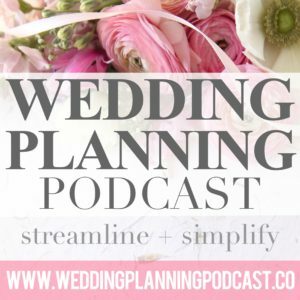 A FREE weekly show designed to help you SIMPLIFY your wedding plans. Scroll down to get started! 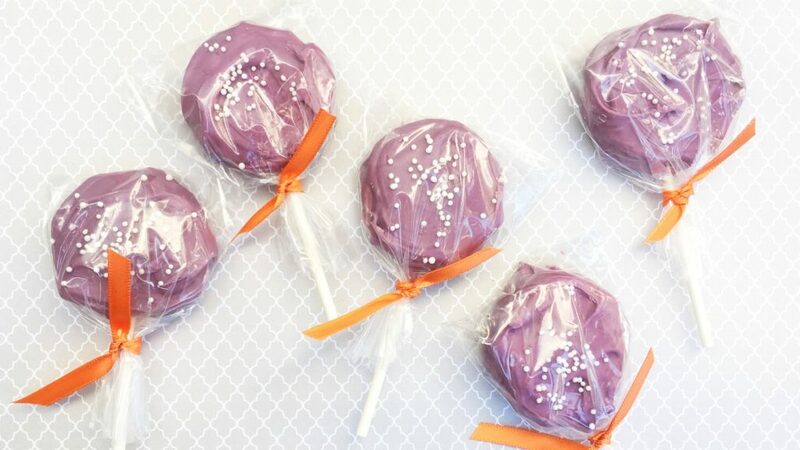 Join me on a shopping trip for a really fun & easy cheap wedding favor project – DIY Cake Pops! In today’s show, I’ll share a detailed list of ingredients & supplies, and walk you through exactly how to put everything together for these delicious and beautiful cake pops. 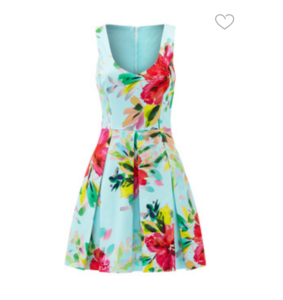 I LOVE this project because it’s cheap, easy, and fun – everything a DIY project should be. This gives you a perfect excuse to invite your mom, sisters, bridesmaids over, pop a couple bottles of wine, and … eat cake pops! 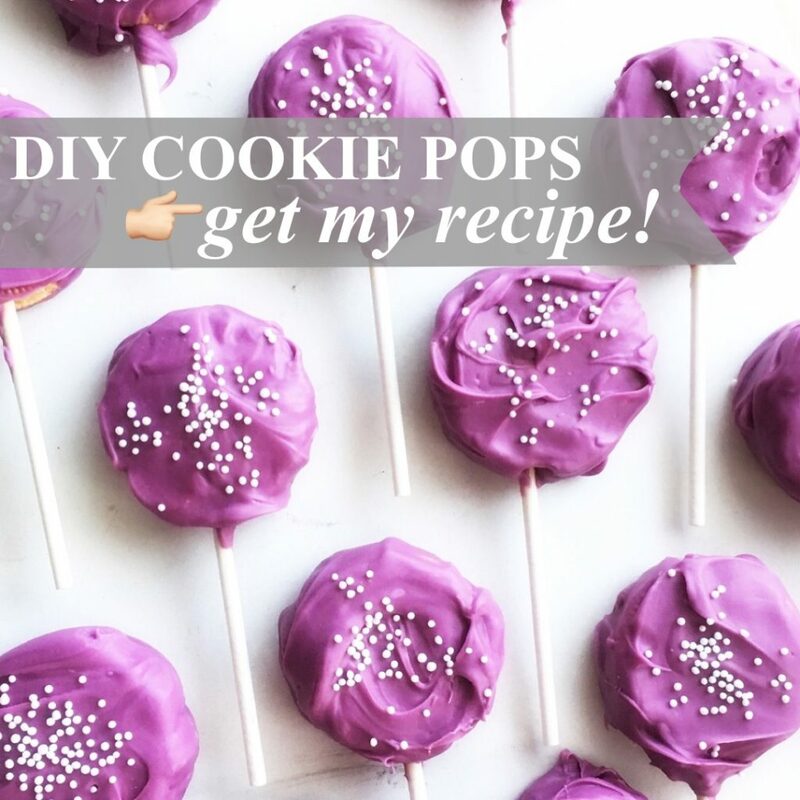 Let me tell you – these DIY Oreo Cookie Pops came out AMAZING. 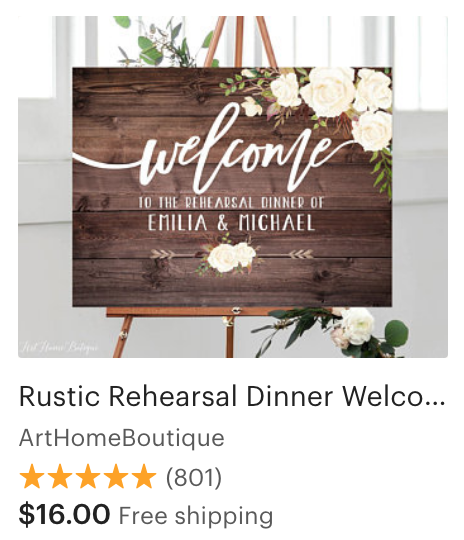 I would 100% recommend this to anyone out there looking for an affordable, fun, and easy wedding favor DIY idea. Voila! 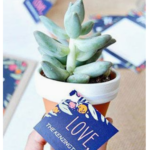 Sweet wedding favors for $0.40 or less! $0.40 per cookie pop – this includes everything I shopped for AT FULL PRICE. Have a coupon, or catch the ingredients on sale? Awesome, that price will be much lower! The chocolate stays pretty thick, even when fully melted. You may find yourself “frosting” the cookies with a small spoon on all sides. Put the stick in all the way to the TOP of the cookie so that it’s anchored in well. Make sure you cover the top of the stick with chocolate as well, so that when it hardens, it will be anchored all around. Add sprinkles right away on the wet chocolate. They will take overnight to completely harden. 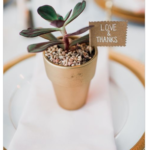 BONUS DIY Wedding Favor project! 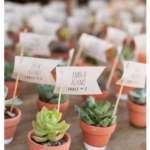 This project is so customizable … you certainly don’t have to even paint the pots. You could fill them with candies instead of soil and a succulent. You could add a personalized favor tag, like shown in the photos below (link to purchase below too – SO CUTE!!!). 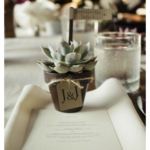 I love this DIY wedding favor idea, because it’s such a blank slate. You get to pick and choose exactly how much time, money, and effort you want to spend! 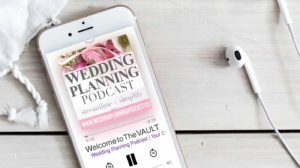 Enter your email address below & I'll send you 3 BONUS audio shows of the Wedding Planning Podcast! Each bonus episode includes valuable insight into the secrets that the wedding industry is hiding from you ... trust me, you don't want to miss it. 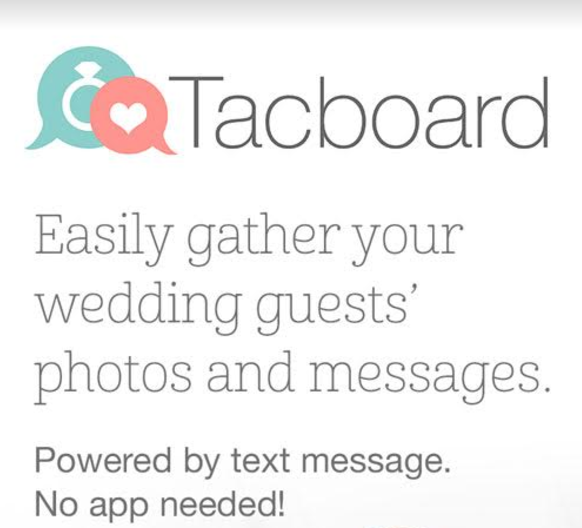 ← Wedding Ceremony Capacity Issues, Solved! PREMIUM SHOWS, zero ads. Join me in The VAULT!